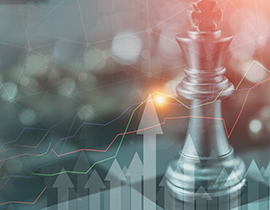 To meet the increased demand for an adaptable and coherent strategy, businesses must have a senior leader who’s focused on strategic direction: the Chief Strategy Officer (CSO). Our new report reveals key insights and strategic guidance that will position the CSO to successfully tackle the challenges of this increasingly complex world. At EY, we’ve developed and deployed a simple three-step market study approach focused on initially defining and analyzing the market, performing the detailed research and compiling all the market study data into a final report with associated recommendations. Many companies struggle to bridge their strategy and their processes with the "what" — and that’s where an Operating Model comes in. A Canadian cross-sector market study into how organizations approach innovation as a driver of growth. Find out what the OSC roundtable discussion found from the review. A guide to unlocking value and overcoming ongoing challenges in an uncertain global business environment.